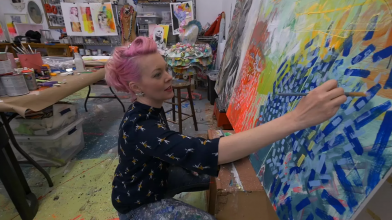 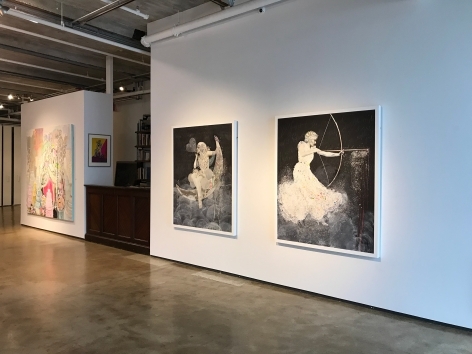 Detour Gallery is pleased to present Starlets, a solo exhibition featuring never-before-seen paintings by Holly Suzanne Rader. 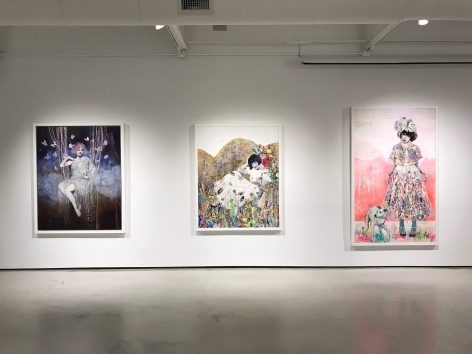 The exhibition is on view from July 29 through September 1. 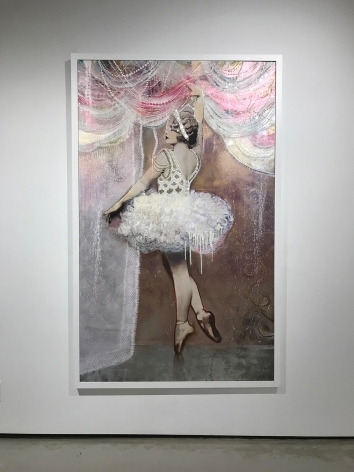 Feminine power, playfulness, and vintage glamour collide in the make-believe world of “Starlets.” Inspired by past icons and Hollywood starlets such as Carol Lombard, Audrey Hepburn, and Ziegfeld Follies showgirls, American artist Holly Suzanne Rader uses images of these performers to create a world that is fantastical yet highly relatable. 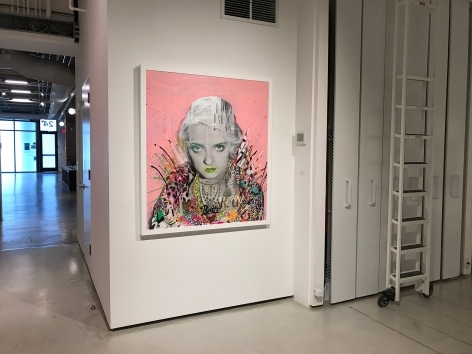 “They are kind of faces that are long-gone and forgotten, but they still remain very beautiful,” she says of her muses. 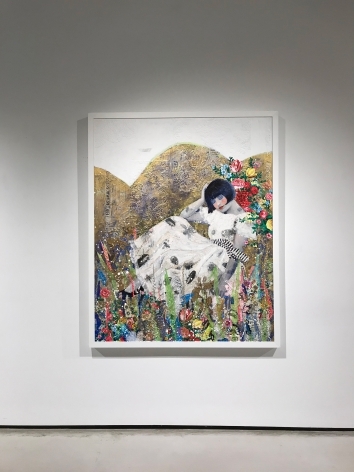 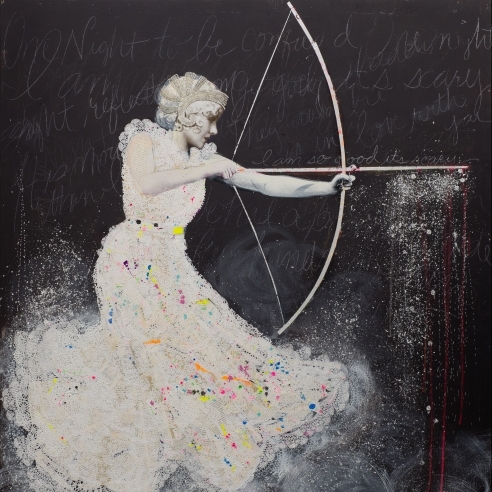 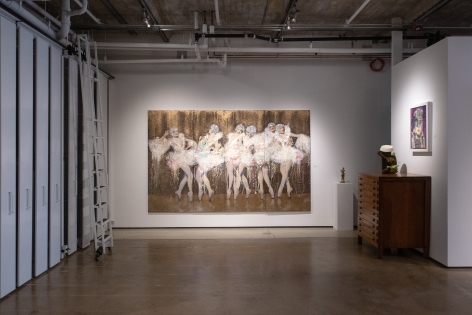 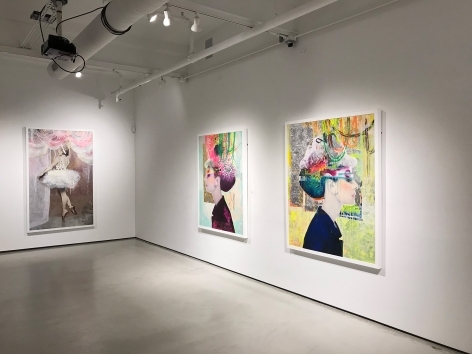 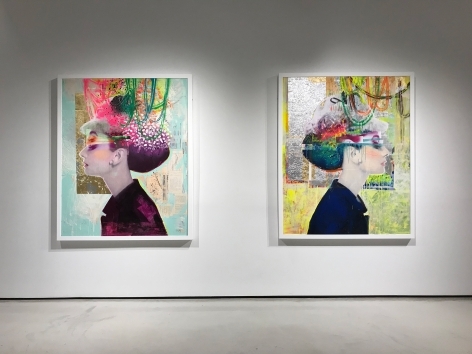 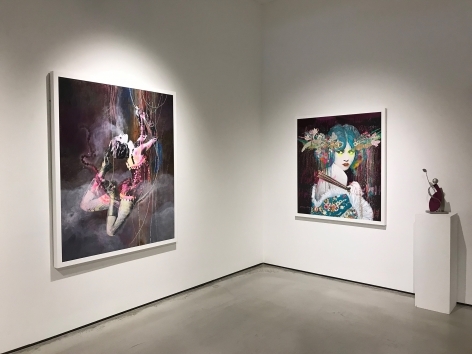 Rader’s mixed-media paintings, which nod to fashion designers such as Dior, Lacroix, and Chanel, incorporate intricate details like beads and pearls, carefully adorning headpieces, dresses, and other objects. 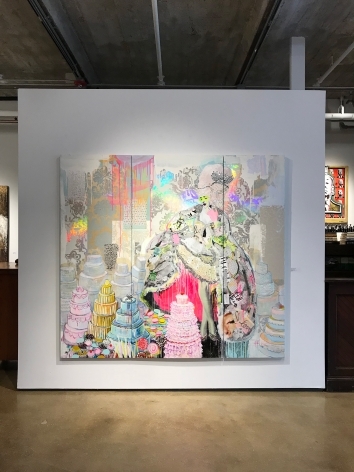 Bold bursts of paint, glitter, and meticulous detail create a visual allure of color and texture.